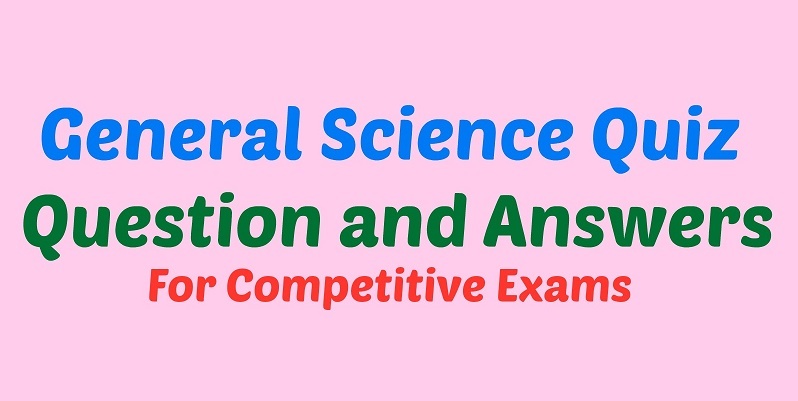 General Knowledge Questions and Answers from General Science. Frequently asked GK questions from General Physics, Science, and Biology. and Chemistry MCQs And Date Wise 05-08-2017 objective questions with answers. useful RAS, IAS, UPSC, RPSC, 1st, 2nd, 3rd Grade Teacher, REET CTET, LDC, SSC CGL, IBPS, MBA, CAT, MAT, SBI-PO, RBI And Railway, Indian Army Rajasthan Police Delhi Police Related Study material And All competitive Exams. Question. (1) What is the permissible level of sound in the peace zone during the day? दिन के समय शांतिक्षेत्र में ध्वनि का अनुमेय स्तर कौन–सा है? Question. (2) Who is not infected with mosquito bites? कौन संक्रमित मच्छर के काटने से नही होता है? Question. (3) Who is the secretion released from the body of the insect? कौन कीट के शरीर से निकला स्राव है? Question. (4) Who is a tree which was once popular in social forestry, is now considered an ‘ecological terrorist’? कौन एक वृक्ष है जो कभी सामाजिक वानिकी में लोकप्रिय था, अब एक ‘पारिस्थितिक आतंकवादी’ माना गया है? Question. (5) Which one is considered as the last remedy for human beings? किस एक को मनुष्य के लिए अंतिम उपाय की औषधि के रूप में माना जाता है? Question. (6) Head of Foot and Mouth Disease: Which Is Found? फुट और माउथ रोग प्रमुख किनमें पाया जाता है? Question. (7) Who made the first effective vaccine for polio prevention? पोलियो की रोकथाम के लिए पहली प्रभावी वैक्सीन किसने बनाई थी? Question. (8) Who is the tallest bird in the flying birds? उड़ने वाले पक्षियों में सबसे ऊँचे कद वाला कौन है? Question. (9) A closed bottle, which has water on normal heat, was taken to the moon and then its lid was removed, then water? Question. (10) What is the similarity between sunflower, coconut, and groundnut? सूर्यमुखी, नारियल और मूंगफली में क्या समानता है?